SIGNIFICANT RECOGNITION HIGHLIGHTS IN 4 BOXES BELOW. Top 2 are Personal and the bottom 2 for the garden. 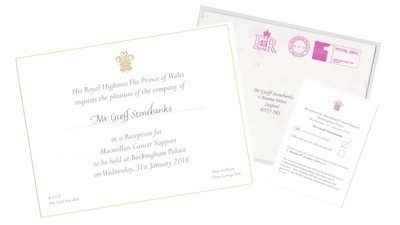 Received an invitation to a Royal Garden Party in 2018 from the Lord Chamberlain's Office. 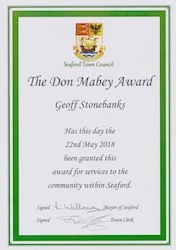 Recognition from Macmillan Cancer Support for my having made a significant difference to the charity and to those suffering with cancer! A vist to the Palace. 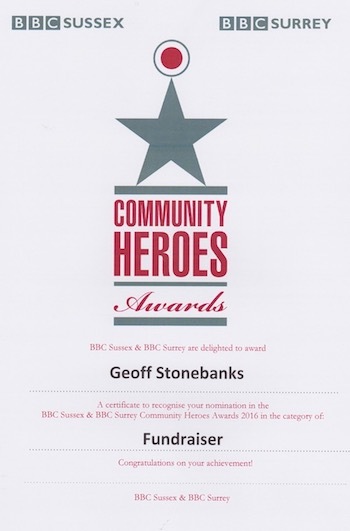 How nice to receive a certificate for my nomination in the BBC Sussex & BBC Surrey 2018 Community Heroes Awards this month in both the fundraiser and volunteer catergories. 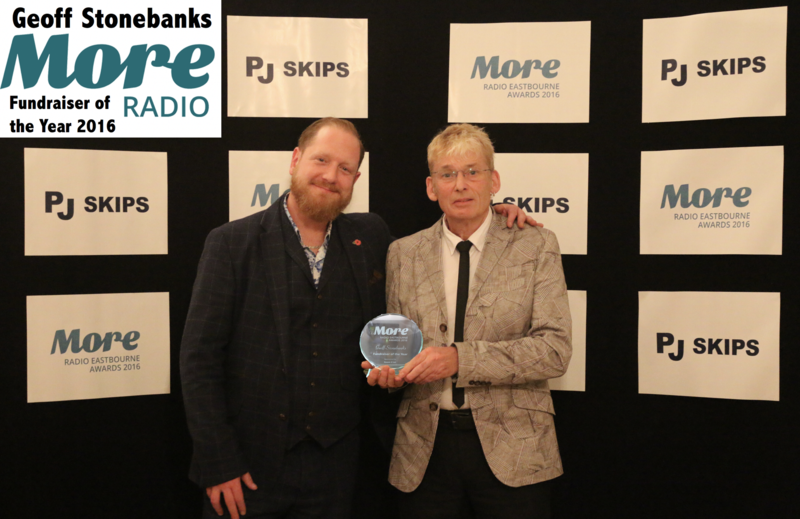 BBC Sussex Breakfast Show also had a 6 minute interview with me on 15th August too. Click link to hear. 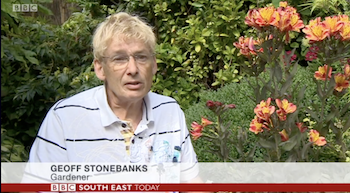 On 14th August 2018 I was amazed to find BBC South East Today asked to come and make a short film about the garden which was shown on the early evening news. Click link to view. On 13th August 2018 I was amazed to find myself and the garden on page 3 of the Daily Mail with a feature on the drought. 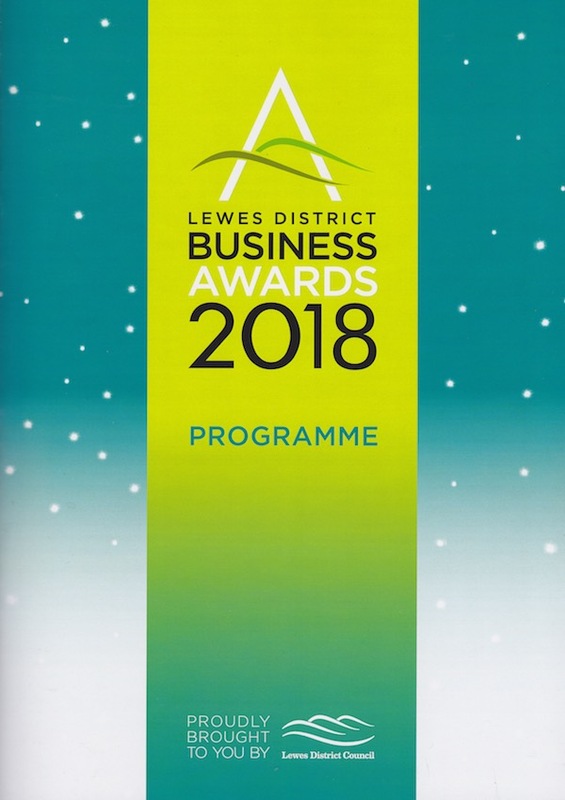 I found out this month that the garden had been shortlisted and was one of the finalists in the Lewes District Business Awards in the Tourist Destination of the Year Awards. The results will be announced on 19th July. 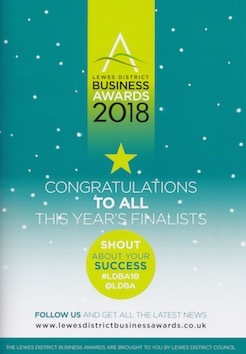 We did not win but great to have been shortlisted and become one of 4 finalists, as you can see from the award ceremony brochure below. 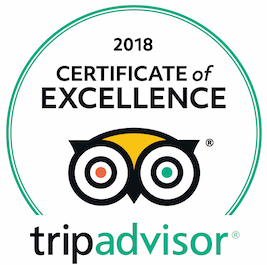 In June 2018 I was amazed to receive a letter from TripAdvisor, telling me I had been awarded a "Certificate of Excellence" for sustained excellent feedback for a second year in a row! 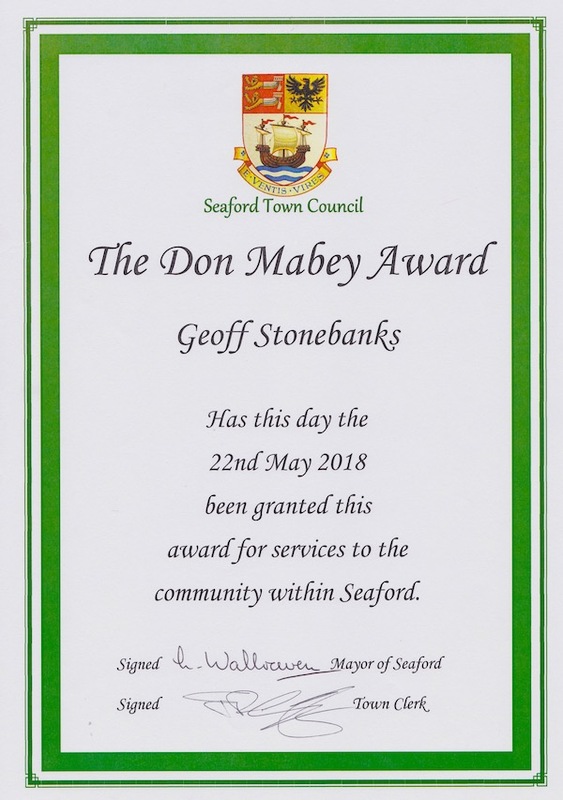 On 22nd May I was so incredibly humbled and honoured to receive the Don Mabey Award for "exceptional services to the Town of Seaford" from the Mayor of Seaford, Cllr Linda Wallraven at the Seaford Town Forum. Truly amazing. 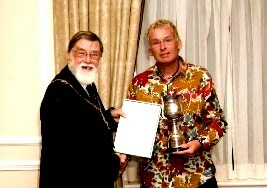 Thank you so much for this honour! It was awarded in recognition of the work done through the garden to raise money for charity. 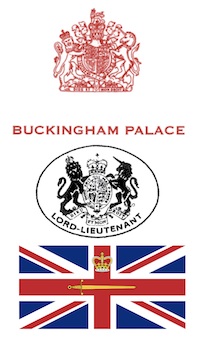 On 18th January, I received a telephone call from the Lord Lieutenant's Office for East Sussex! 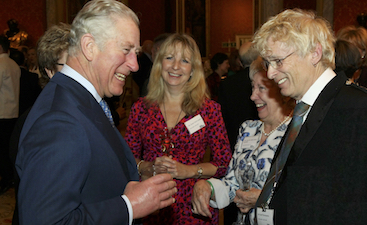 The lady asked if I had received a letter before Christmas inviting me to a Royal Garden Party in 2018. I informed them that I had not. I was quickly e mailed a copy of the letter and received an option of 3 dates. I just need to wait and see which is allocated! Amazing. 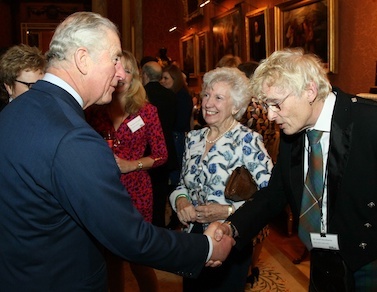 On 7th December 2017, I received an official invitation from Buckingham Palace to a reception hosted by His Royal Highness, Prince Charles, for Macmillan Cancer Support. 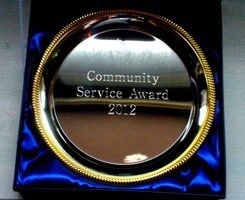 This had come about thanks to all the volunteer work I have done for the charity in recent years! 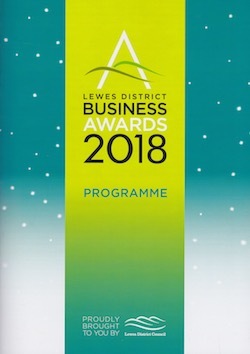 The event took place on 31st January 2018. Read all the gossip here. 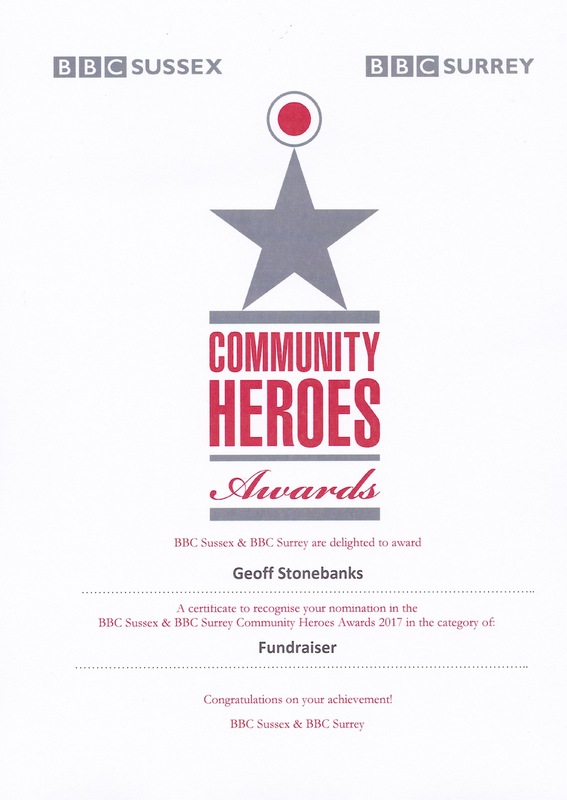 How nice to receive a certificate for my nomination in the BBC Sussex & BBC Surrey 2017 Community Heroes Awards this month. 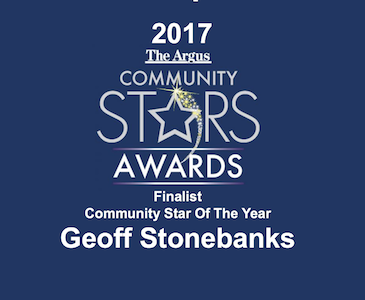 On 28th October a double page feature appeared in the Argus newspaper in Brighton on my charity fundraising and approaching �100000 raised. 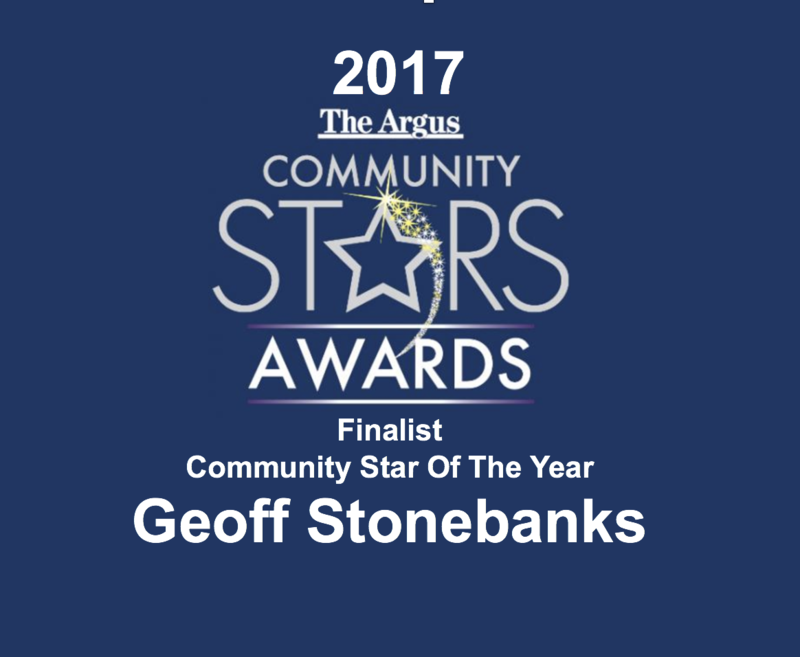 On 7th October a whole page featured in the Argus newspaper that I had been nominated for their Community Stars Awards for 2017. 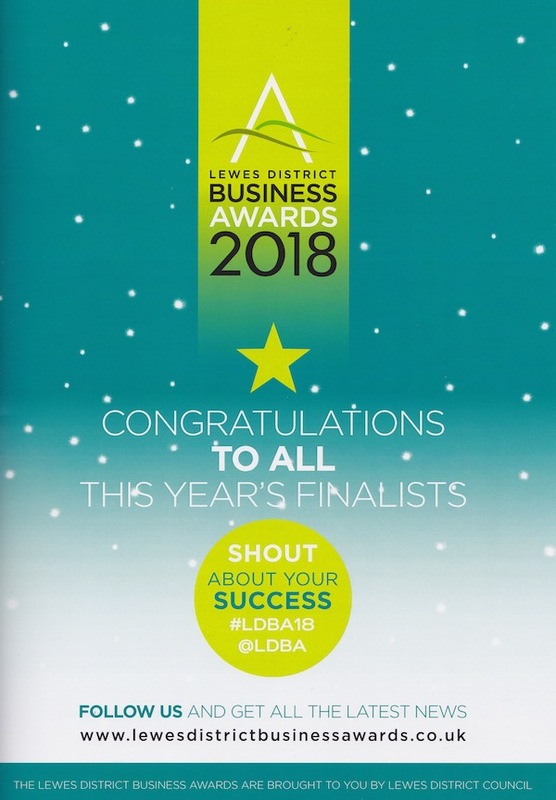 In December I found out I was now a finalist and invited to an award ceremony at The Dome on 21st January 2018. Myself and 7 volunteers went along to the ceremony but I was not the winner unfortunately, nonetheless, wonderful to have reached the final 3. In September, I was invited to be part of a location film shoot in Chiswick with QVC Shopping channel. 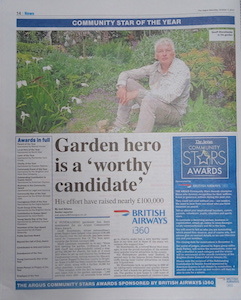 The aim was to promote Richard Jackson's Flower Power which I have been using for 2 years in the garden. 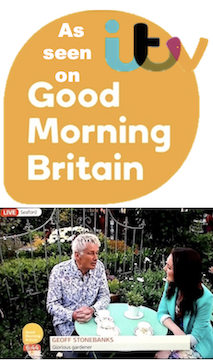 Several promotional clips were created and broadcast on QVC in early 2018. You can see the 4 clips here. In June 2016 the garden was shot for Coast magazine. The fabulous 8-page feature duly appeared in the 2017 August issue. We were mentioned on the cover too! Vintage tea by the sea! 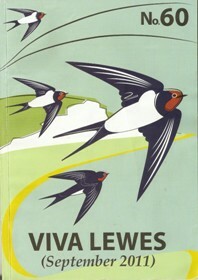 Click cover to read. In July 2017 the garden was listed on the Great British Gardens website as their smallest garden listed! Not bad eh? Click logo to view! 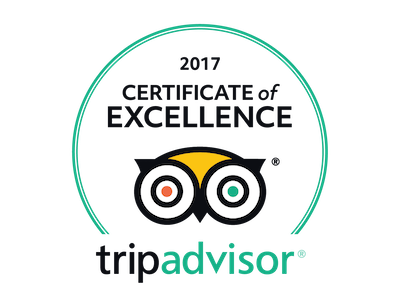 In June 2017 I was amazed to receive an e mail from TripAdvisor, telling me I had been awarded a "Certificate of Excellence" for sustained excellent feedback! 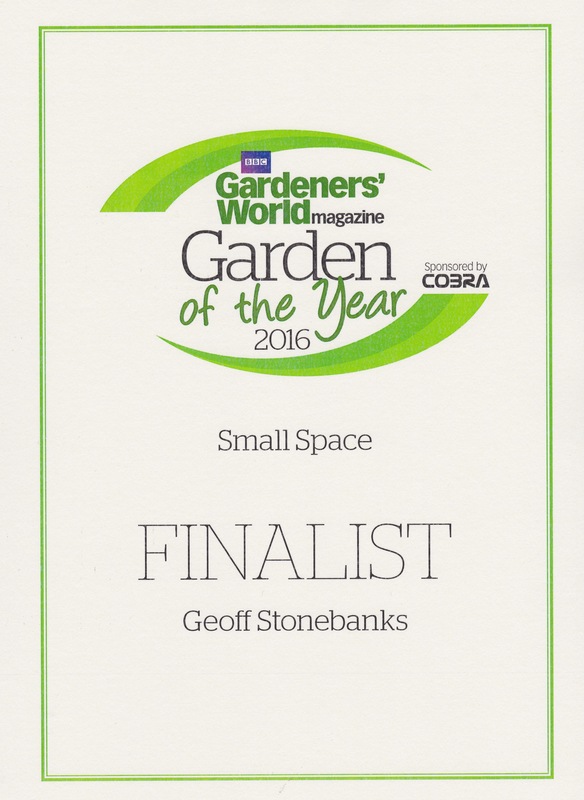 Referenced in Small Spaces Solutions feature in Gardeners' World magazine in April 2017 and image included on the double page announcing the 2017 Garden of the Year Competition. 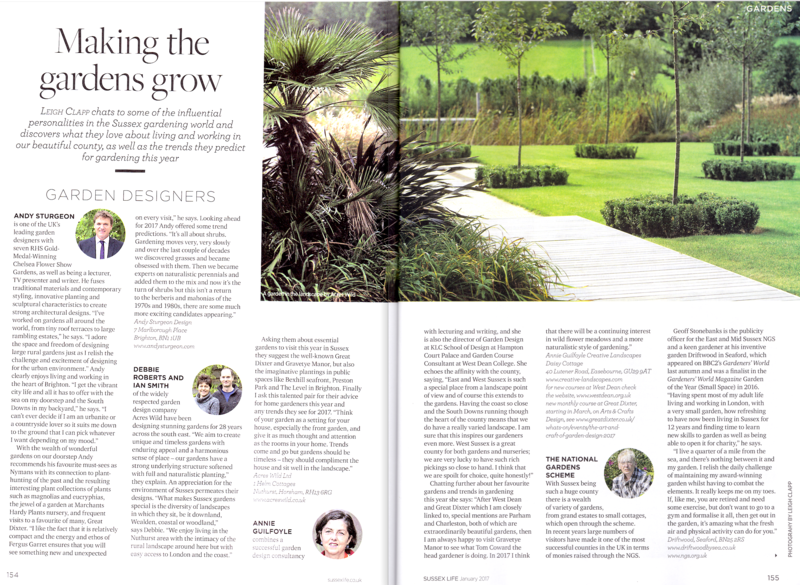 Modern Gardens Magazine had a competition to show "Happy Places" and Driftwood was one of the winners in the February issue. Sussex Life's January issue featured a list of the "influential personalities in the Sussex gardening world" and I was among them! 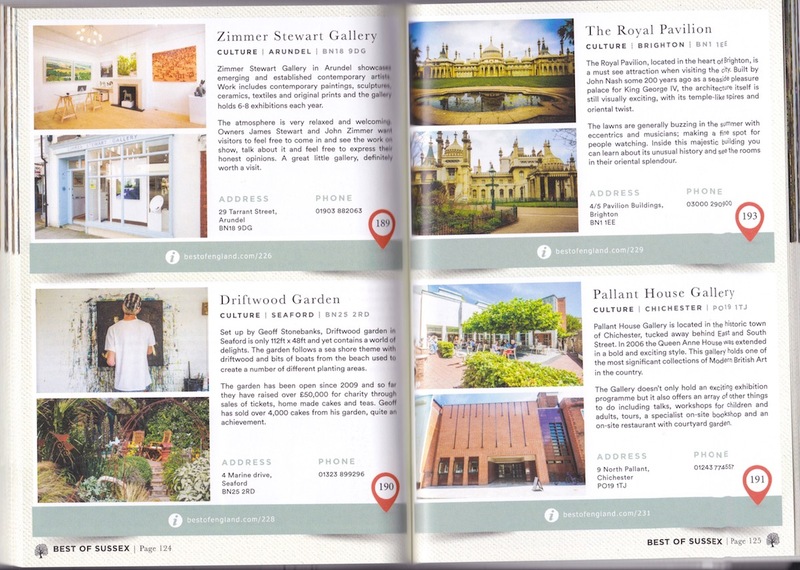 This month I received my copy of the newly published Best In Sussex Guide, produced by Best of England. 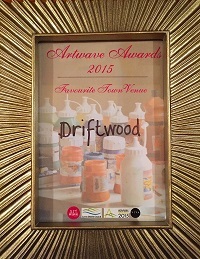 Driftwood is listed on page 124 and on their web site too, viewed here. 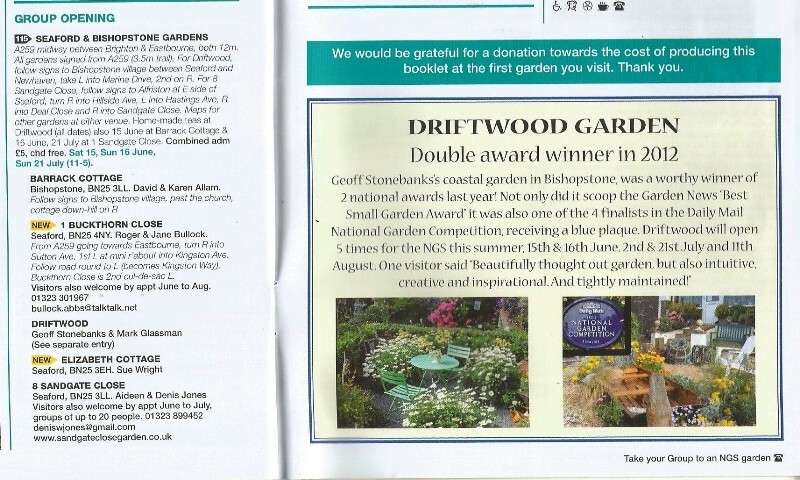 Gardeners' World Magazine invited Driftwood to be part of their 2 for 1 card scheme again in in 2017, listing the garden in the hand book, published in May 2017, and posting on the web site. 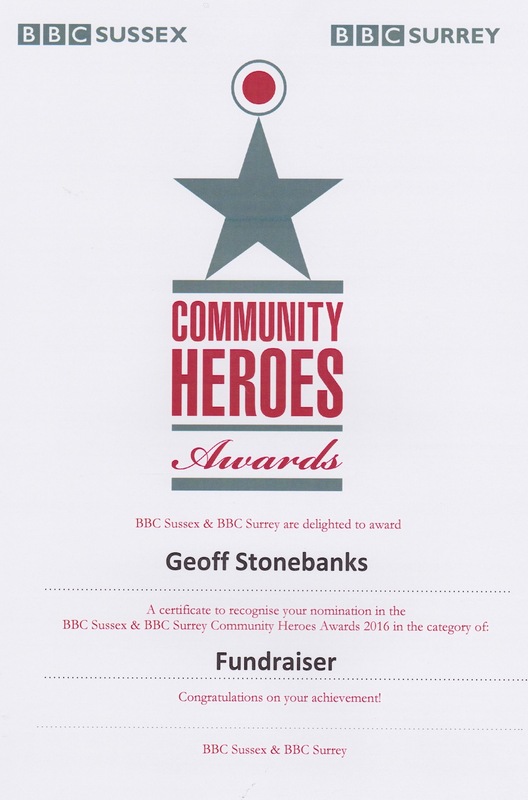 Extremely pleased to receive a certificate from BBC Sussex for my nomination in the 2016 Community Heroes Awards in the "Fundraising" Category. On 4th November 2016, I received a letter from More Radio to confirm I had been nominated and subsequently shortlisted for the Fundraiser of the Year Award. Then, at the More Radio Awards Eastbourne, which recognise everything from flourishing businesses, true community spirit, sporting brilliance and individuals with a heart of gold, I was named the winner of the Fundraiser of the year! 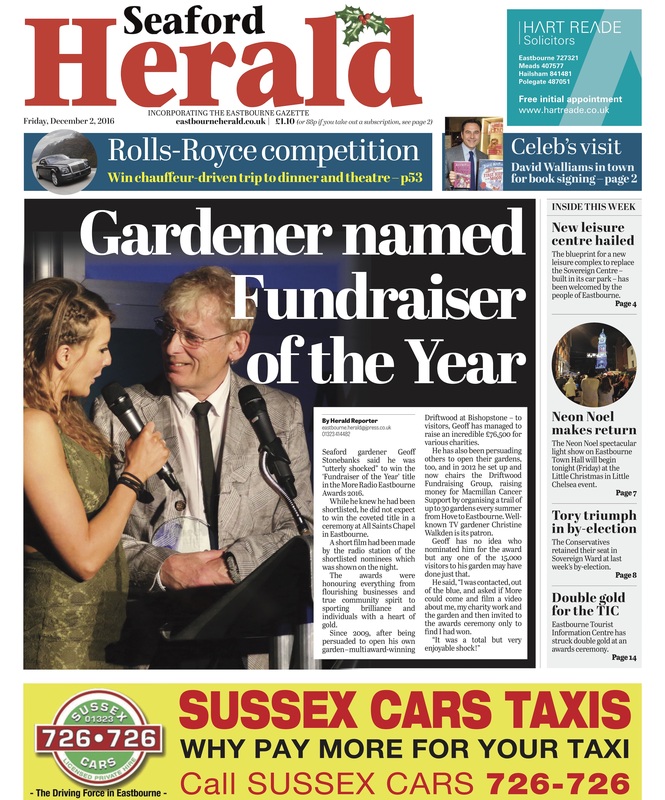 On 2nd December if made the fron page of Seaford Herald too! The garden has been featured in the Macmillan 2017 calendar for the month of August! 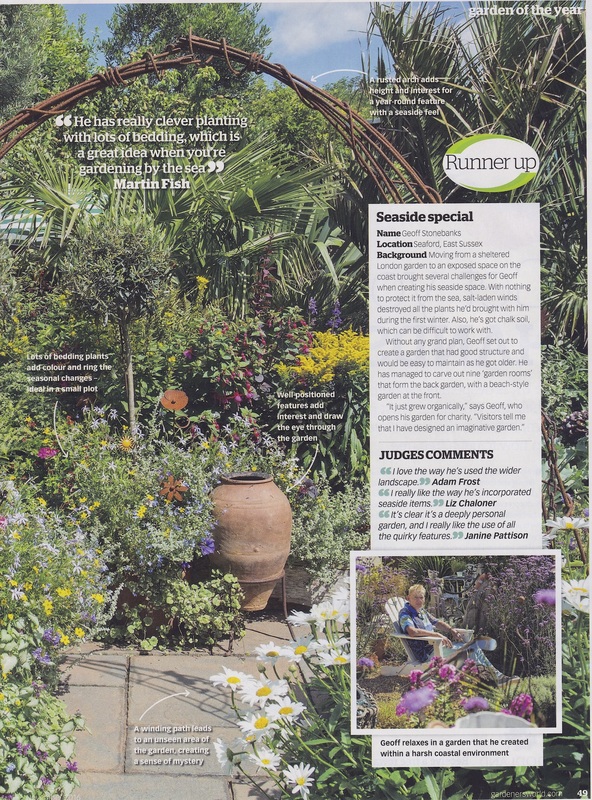 The garden was confirmed as the runner up in the Gardeners' World Magazine Garden of the Year Competition. There were some lovely quotes from the judges too! "I really like the way he's used the wider landscape." Adam Frost, RHS Gold Medal winning designer and Gardeners' World presenter. 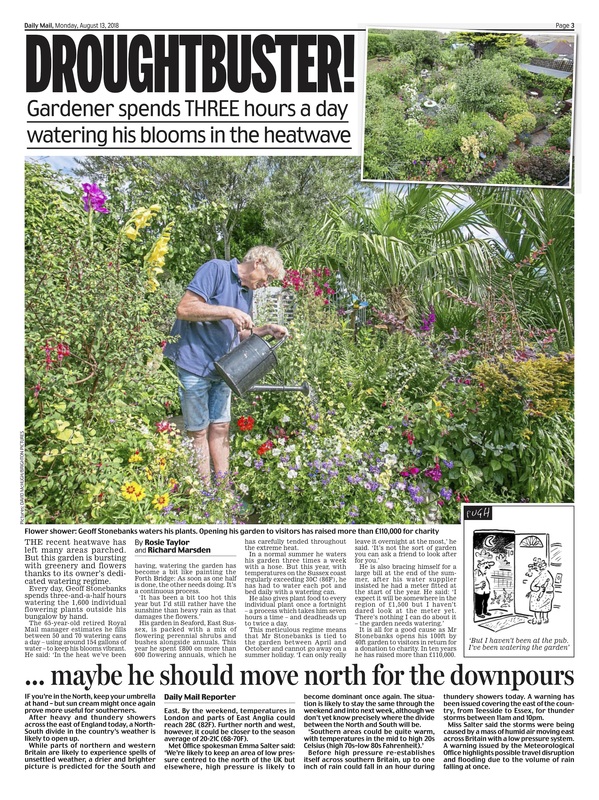 "He has really clever planting with lots of bedding, which is a great idea when you're gardening by the sea. Martin Fish, gardening writer, TV and radio presenter. 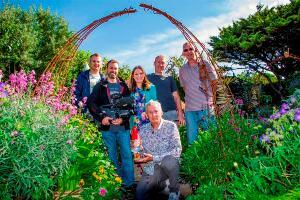 The garden was filmed for the BBC2 Gardeners' World programme on 25th August for broadcast on 23rd September. 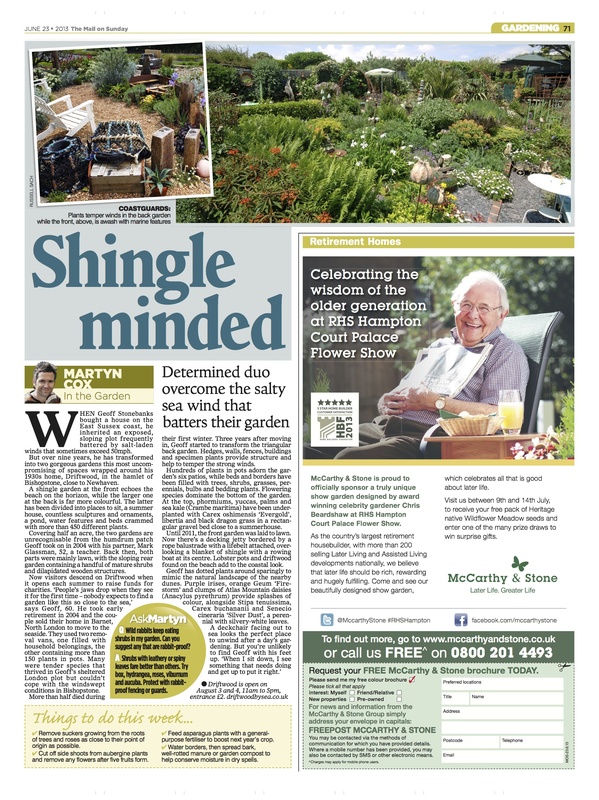 I was amazed to learn the Sunday Telegraph were to print the story about the garden in the main newspaper on page 17. It had come about following a piece in the Brighton Argus earlier in August! 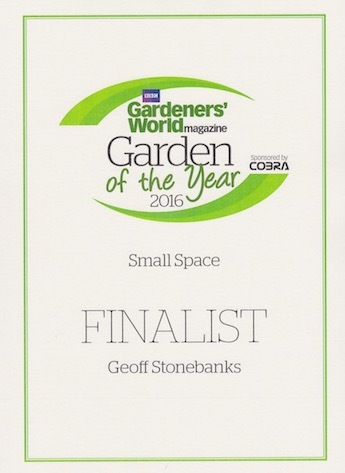 Garden confirmed to be in final selection for the Gardeners' World Garden of the Year for Small Space. The garden will be professionally shot during August and final decision made on winning garden later in the year. 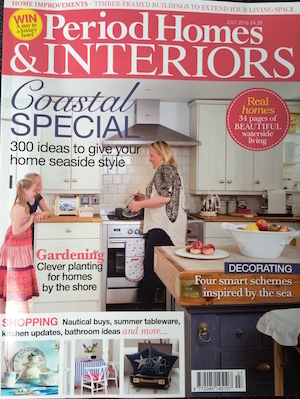 Great feature on coastal gardens in national lifestyle magazine Period Homes & Interiors July issue, with the main garden featured being Driftwood. Courtesy Editor, Period Homes & Interiors. 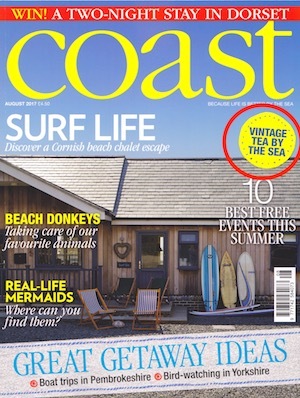 Coast Magazine, the national lifestyle magazine for everything by the coast, commissioned a feature on Driftwood which was shot on 27th June 2016 for publication in the Summer of 2017. Great day with photographer Paul Viant and journalist Alex Reece who said at the end of the day, Thank you! It was a real pleasure to meet you all and to see your garden today, which is a truly uplifting and inspiring place, thanks again for a great shoot and the incredible cake! Following on again from the win of 2 tickets to Chelsea from M & G Investments, The RHS posted the winners on their facebook page along with the winners tips. 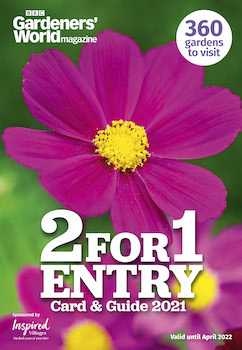 Following on from the win of 2 tickets to Chelsea from M & G Investments, they told me my picture had creative stand-out and that they were using it on posters at both Victoria and Waterloo stations in London in the run up to the Chelsea Flower Show. 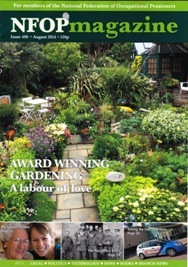 The new gardening app, Garden Tags, featured me as their spotlight gardener in their weekly newsletter on 30th April. 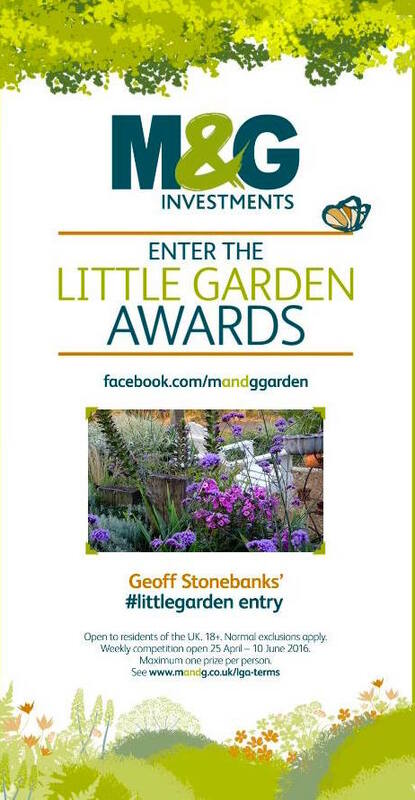 I was amazed to find out I had won 2 tickets to the Chelsea Flower Show, for submitting a picture of the beach garden to M&G Investments. This month, Macmillan Cancer Support and The National Gardens Scheme, published a brochure celebrating 30 years of "Growing Together". There was a case study from Driftwood on page 18. 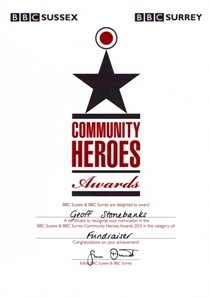 On 16th April we were invited to a celebration of Unsung Heroes. 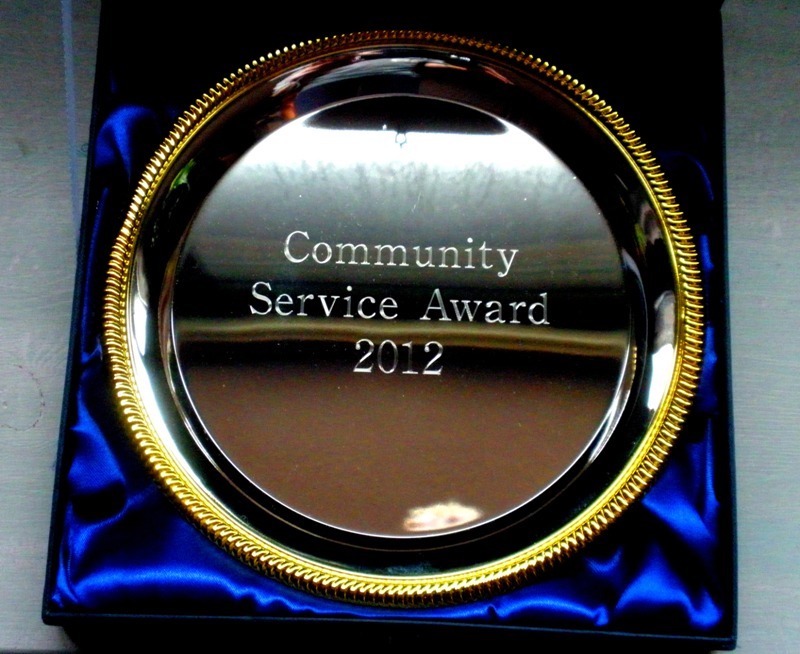 52 local community volunteers invited to celebrate the work of people who volunteer their services for the good of the community at the 2016 Unsung Heroes Awards held at Newhaven Fort on the 16th April. This year, the event included representatives from the charities and voluntary organisations working locally that have been nominated to Ruth O'Keefe MBE, Chair of the District Council, as part of her theme for the civic year 2015 and 2016 Charities and Voluntary Organisations of the Lewes District as well as individual Unsung Heroes nominated d by her Lewes District Councillors. We were invited for the fundraising we do for Macmillan Cancer Support through Driftwood Fundraising Group. Richard Jackson's Garden generously agreed to supply Driftwood with all the Flower Power needed to feed the garden this summer. A blog was posted on their website acknowledging this. 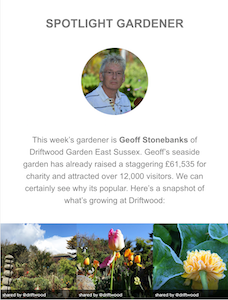 In good company this month as I was invited by new garden blog, Garden Tags, to write a blog, along with Christine Walkden and Michael Perry. 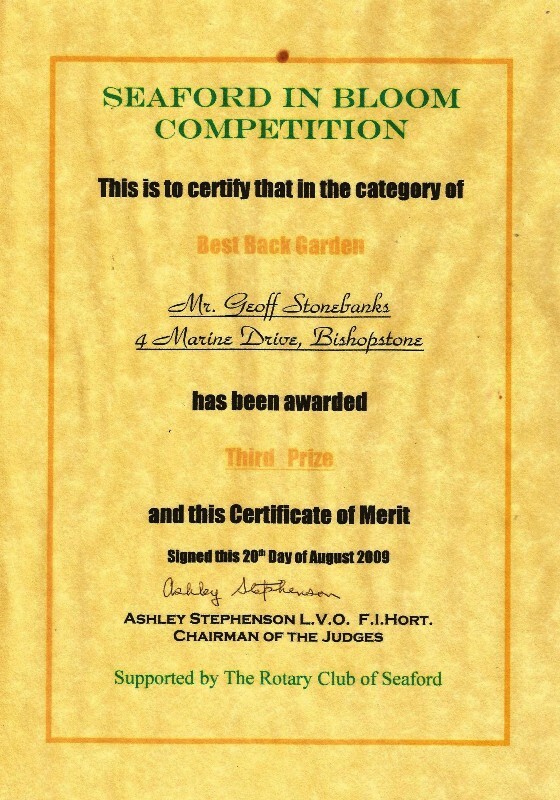 Mine, entitled "Garden Connections Can Spark A Growing Revolution" can be read by clicking the image below. Invited for 4th year by Thompson & Morgan to continue as part of their customer trials programme. New and current products delivered to the garden for trial with written feedback provided at the end of the season! Check out the products received here . 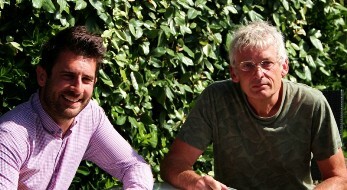 Their Product Development Manager, Michael Perry, has visited to see the garden for himself! Gardeners' World Magazine invited Driftwood to be part of their 2 for 1 card scheme in 2016, listing the garden in the hand book, published in May 2016, and posting on the web site. 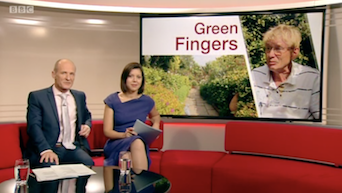 BBC SE Today chose to use pictures of the garden that I had posted on weather watchers to be the backdrop for all their weather broadcasts on Monday 14th December. Click the image to see the actual footage. 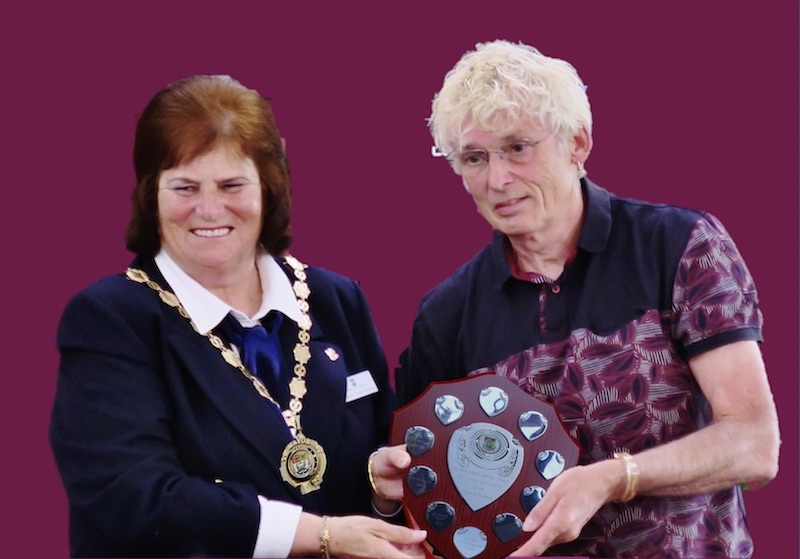 I was invited to write an ongoing monthly blog for Richard Jackson's website which was the Garden Media Guild's winner of the "Website of the Year 2015". 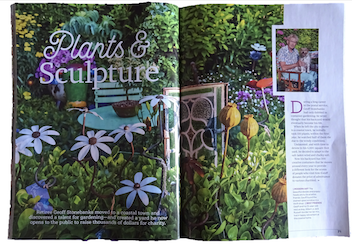 The garden has been featured in the Perennial 2016 calendar for the month of August! 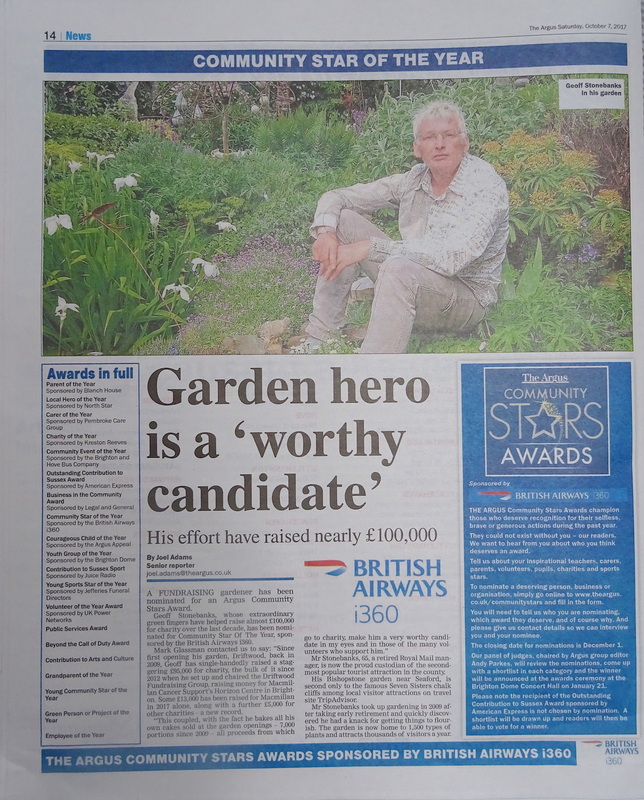 Centre-fold spread in the Argus on the 5th October with a piece about charity fundraising, which can be read online too. The garden was voted by the public as their favourite town venue in the Artwave Festival "Favourites" competition. 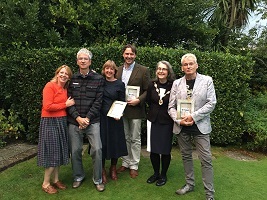 We collected the certificate along with favourite artist, Keith petitt and favourite rural venue Artists and an Orchard. 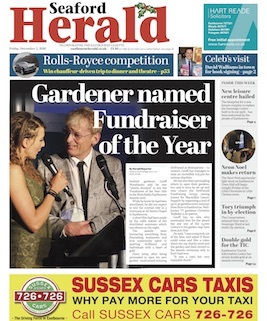 Garden celebrated it's 100th opening and made the front page of the South Coast Leader. 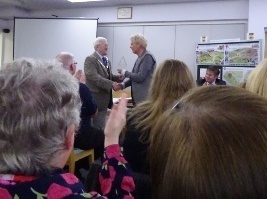 Approved by the County Organiser for inclusion in the 2016 NGS Gardens To Visit as a sole entry. This image of the garden features in the book too! 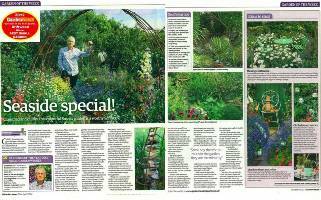 Amazing feature appeared in Sunday Telegraph Living Magazine on the 23rd August and posted on line on 1st September here. 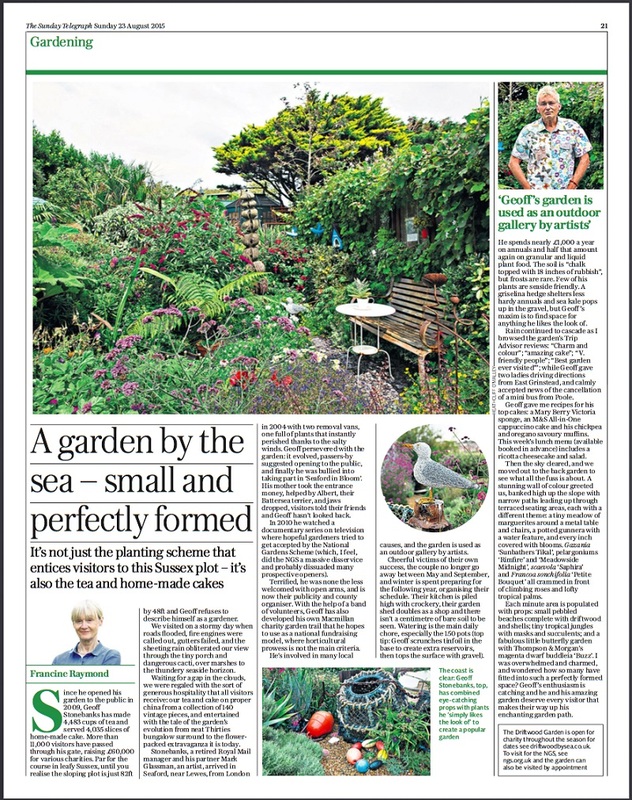 Amazing blog written by Telegraph journalist and blogger Jean Vernon on the 19th August following her visit to the garden. 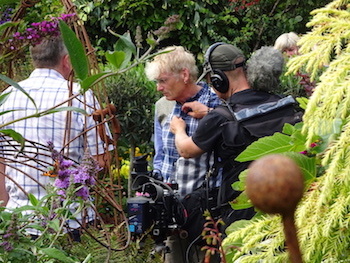 Driftwood was visited by Jonathan Need on 10th July who last shot the garden in 2013. 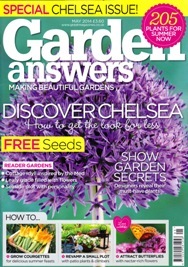 He was very successful in getting the garden in Garden Answers Magazine and 100 Idees Jardin Magazine in France in 2014. 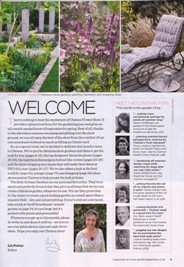 Great feature appeared in Daily Mail Weekend Magazine on the 27th June and also Mail Online. 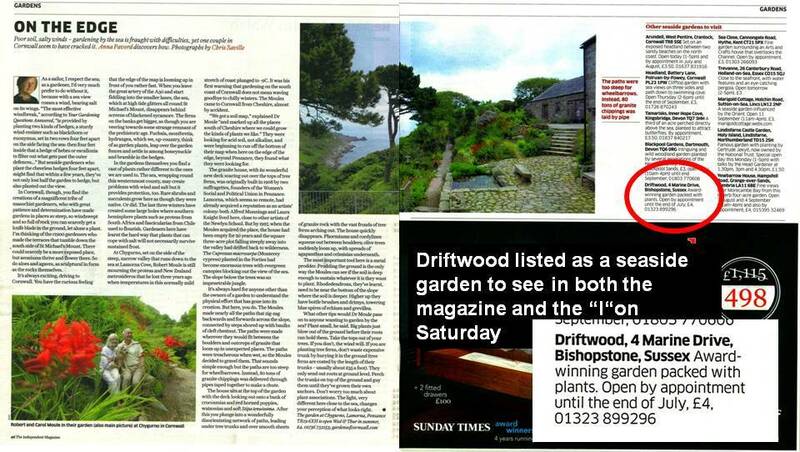 Driftwood was visited by very well known garden photographer, Marcus Harpur on 4th & 5th June and is hoping to get the images published over the next 18 months or so! 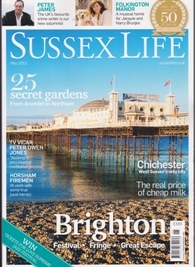 Listed as one of 25 "Secret Gardens" to see in Sussex in the May issue of Sussex Life Magazine. Listed as number 9 in the list. 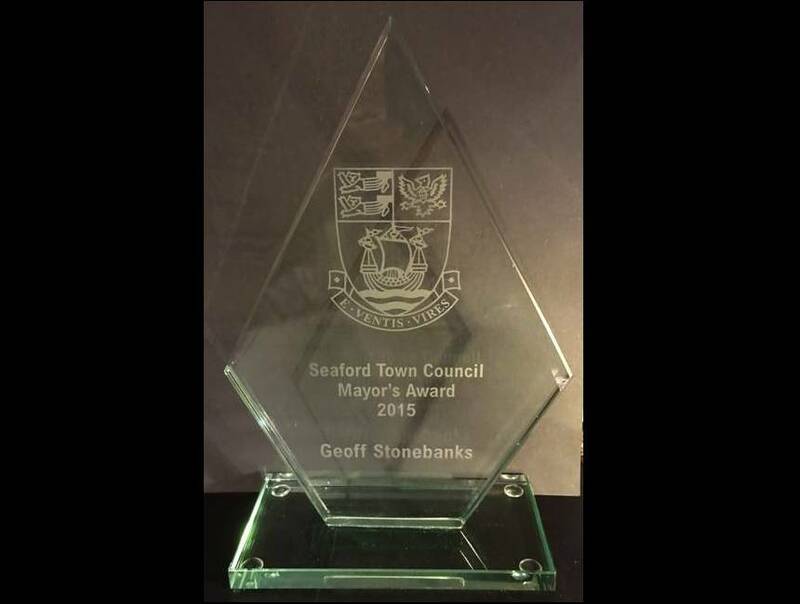 Presented with Seaford Town Council Mayors Award for charity fundraising in the town on the 28th April. Invited for 3rd year by Thompson & Morgan to continue as part of their customer trials programme. New and current products delivered to the garden for trial with written feedback provided at the end of the season! Check out the products received here . Their Product Development Manager, Michael Perry, has visited to see the garden for himself! 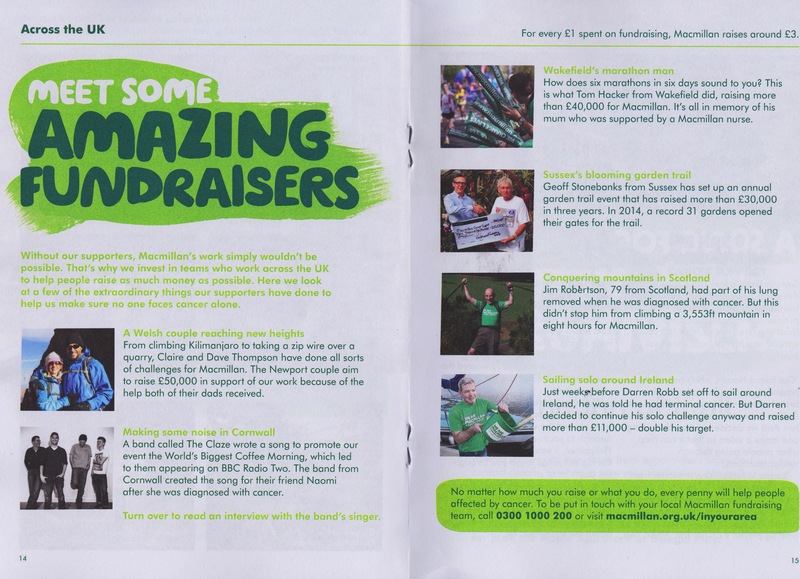 Mac News, the quarterly magazine from Macmillan Cancer Support, published in December 2014, listed 6 "Amazing Fundraisers" and Geoff Stonebanks was one of them, read the piece here . 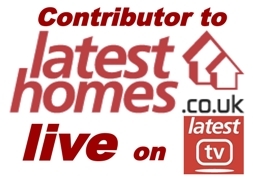 Invited by the Producer of Latest Homes Live on Latest Tv to have a weekly slot about gardening on the show! 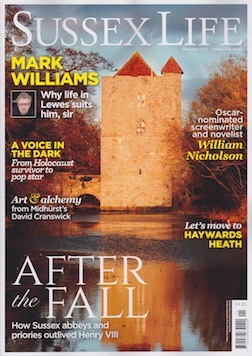 This ran from October to December 2014. Read the full details here . 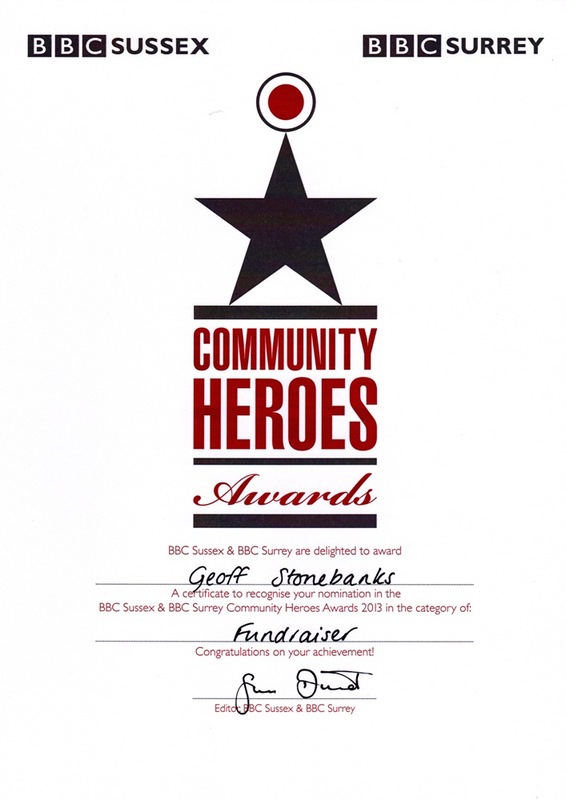 Chosen by renowned TV production company for filming a video to aid commissioning of a new programme on BBC 2 in 2015. 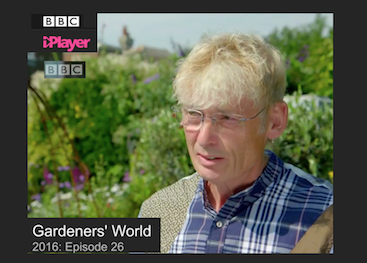 They interviewed me about my passion for gardening, how the garden has been created and developed and how I might feel about designing a garden for others! Watch this space in 2015! 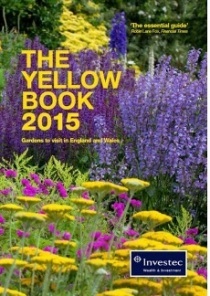 Approved by the County Organiser for inclusion in the 2015 Yellow Book as a sole entry. 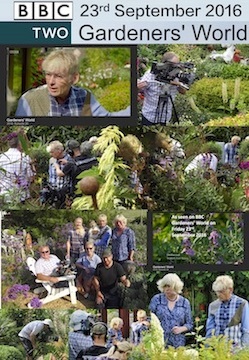 Visited by garden photographer, Maayke de Ridder, who is working with Noel Kingsbury on a new book on small gardens. She shot the front garden and hopes it will be featured in the book when published in 2016! Watch this space! Garden used as the backdrop on national UK television for live TV broadcasts by Good Morning Britain's weather girl, Laura Tobin, with live interviews with me during the programme. 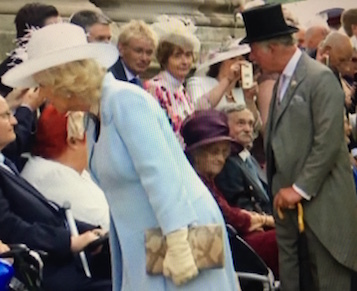 Read the full details here with all the photos and gossip from the morning! In coverage of the launch of the 2014 Garden Competition	the article says "Now pick up some prize-winning tips. 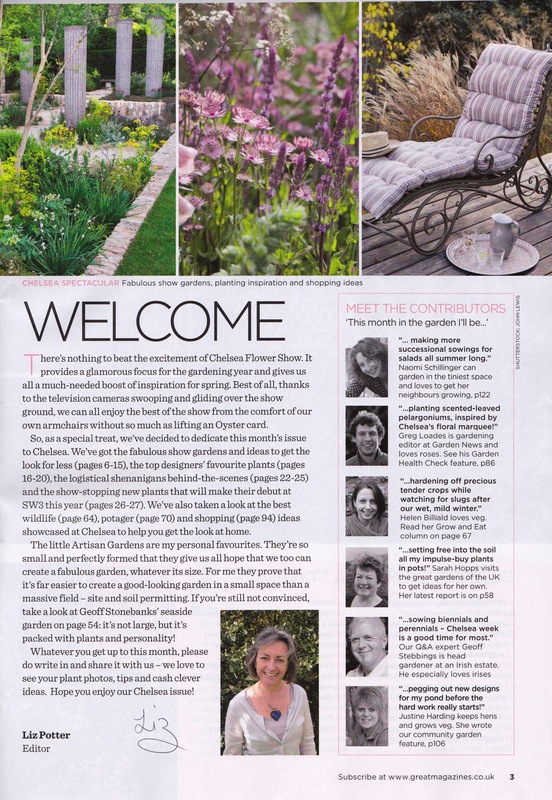 Some former finalists welcome visitors to their gardens over the summer - perfect if you want to draw inspiration from the experts!" 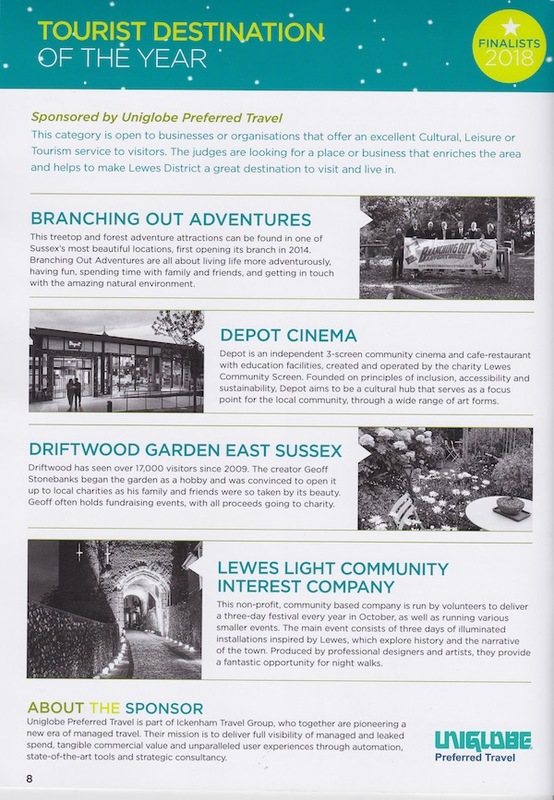 Driftwood is one of 6 listed on the right of the 3rd page! 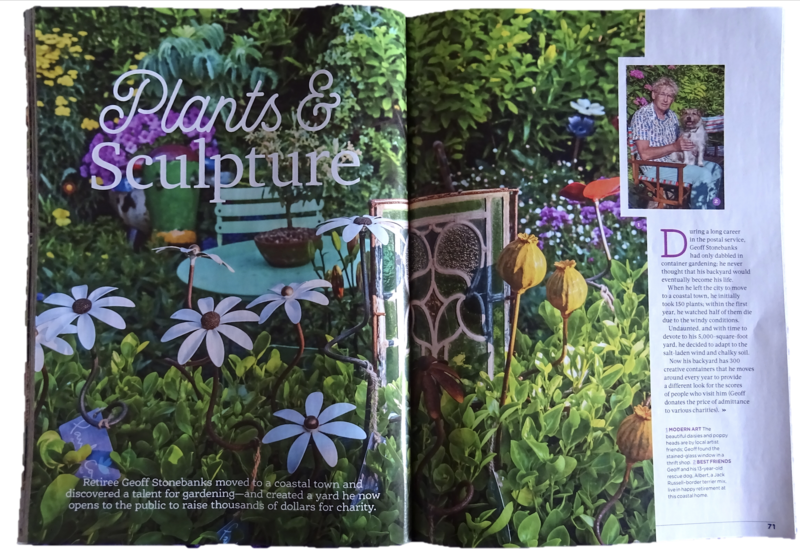 4 page feature in the special Chelsea Flower Show edition of the magazine on pages 54-57 with great editorial comment and image on contents page. Click each of the 5 images to read detail. 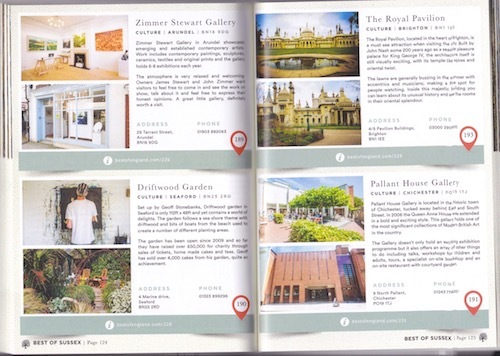 List of 25 must see Sussex gardens with Driftwood listed as number 10! 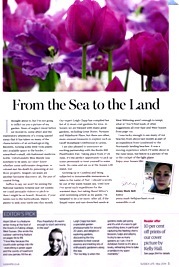 A great mention in the editorial of the magazine too! 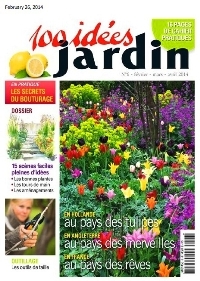 February - April Issue 2014: French Gardening Magazine "100 Idees Jardin "
"Un petit brin de fantasie" - A Little Bit Of Whimsy! Discovered in June there had been a 4 page feature on the garden in a french magazine! Click each of the 4 images to read detail. Images taken last summer and sold by photographer to an agency who got them published. You can read the translation here . 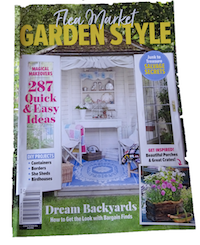 Featured garden in the April issue of the magazine, with mention on front cover. Invited again by Thompson & Morgan to continue as part of their customer trials programme. This involves receiving new and exclusive varieties of plants not yet seen by the public to grow to the best of my ability in the garden/containers. I have provided written feedback and pictures which will be used on their website and catalogues and other sales literature. 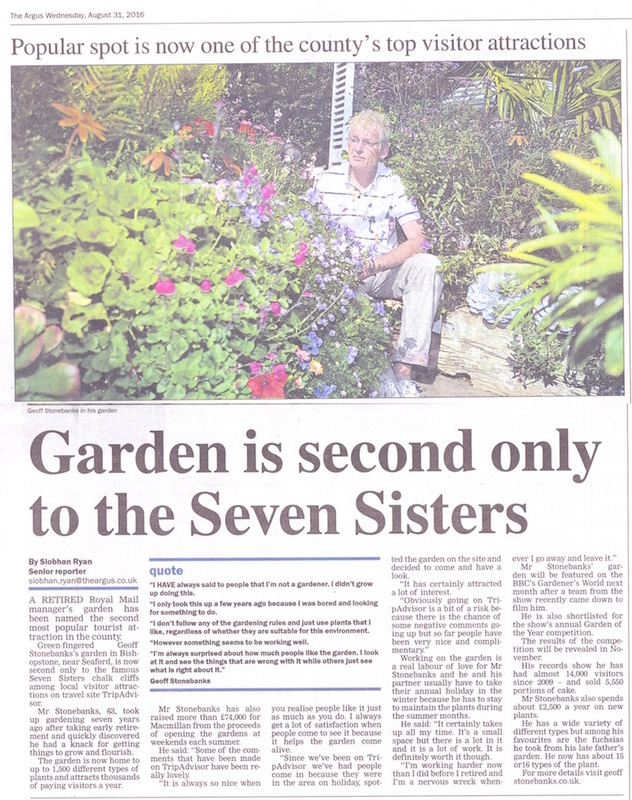 Their Product Development Manager, Michael Perry, has visited to see the garden for himself! 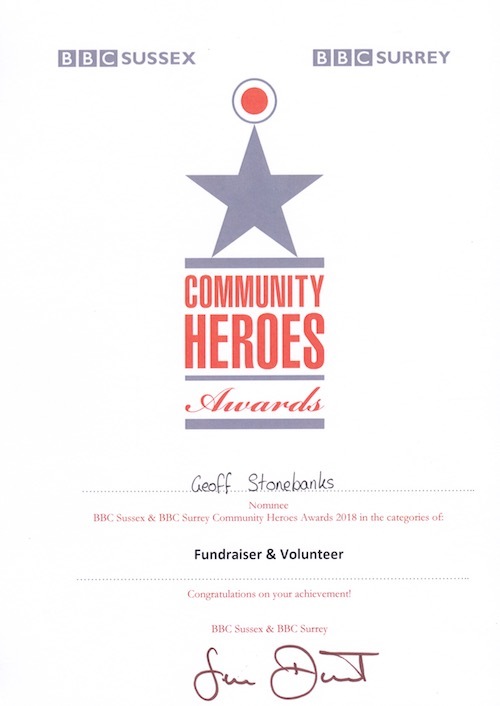 In December I was invited to a glittering awards ceremony and was awarded this certificate for being a finalist in the BBC Community Heroes Awards 2013 for fundraising efforts, after raising over �32000 for various charities in the last 4 years. Amazing! 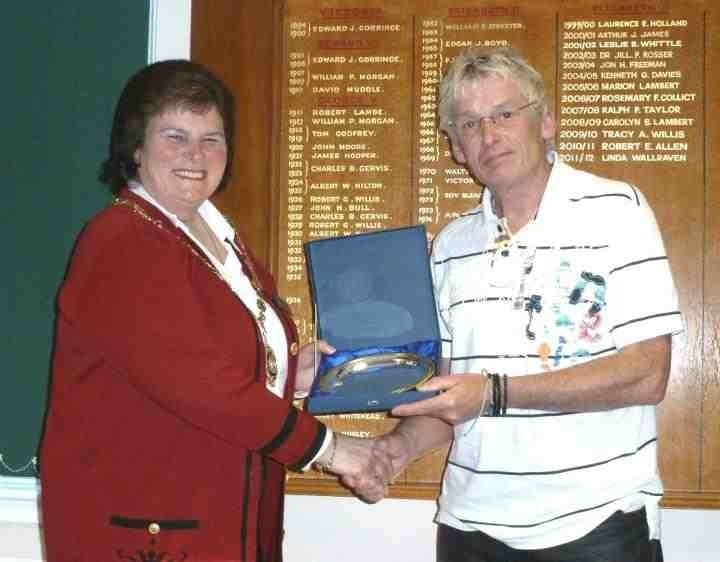 There were 3 radio interviews on BBC Sussex with Allison Ferns on the 11th December here . One with Neil Pringle on the BBC Sussex Breakfast Show on Wednesday 4th December, here and one with Joe Talbot, on Dig It, here, which was broadcast on Sunday 17th November. Driftwood has been visited by 3 professional photographers in 2013 who make their living from selling their images! 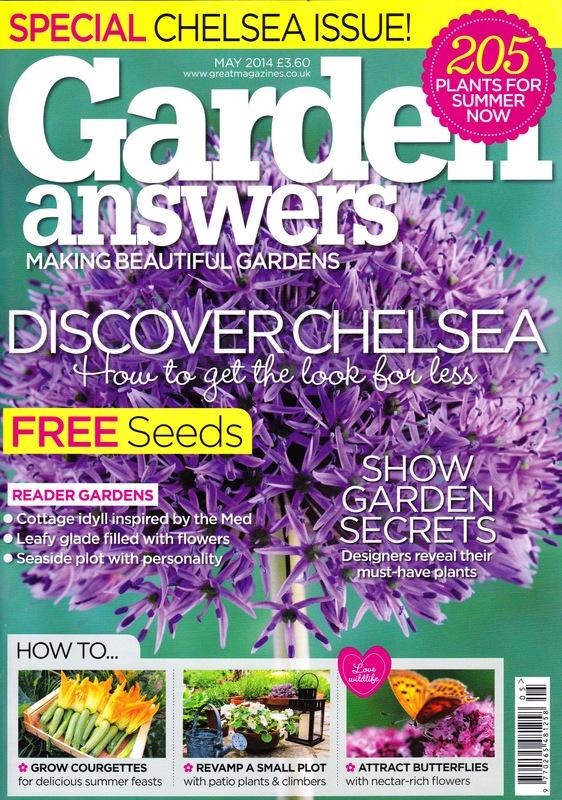 Watch out for features on the garden in national magazines in 2014, both at home and abroad! Approved by the County Organiser for inclusion in the 2014 Yellow Book as a sole entry, not member of a group! 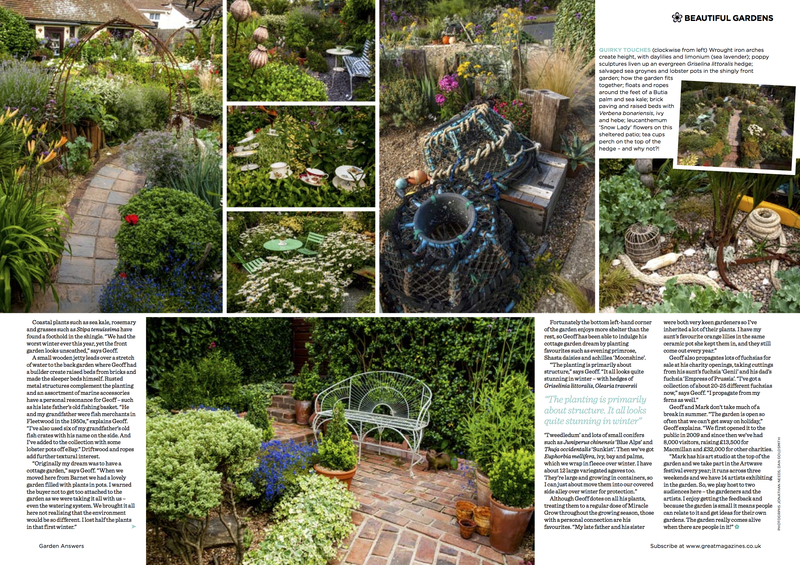 Driftwood was the featured garden in the July issue of Sussex Life Magazine, with a great article by Leigh Clapp. 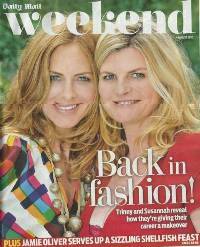 June 2013: Mail Plus Weekend Magazine 360� Panorama imagery. 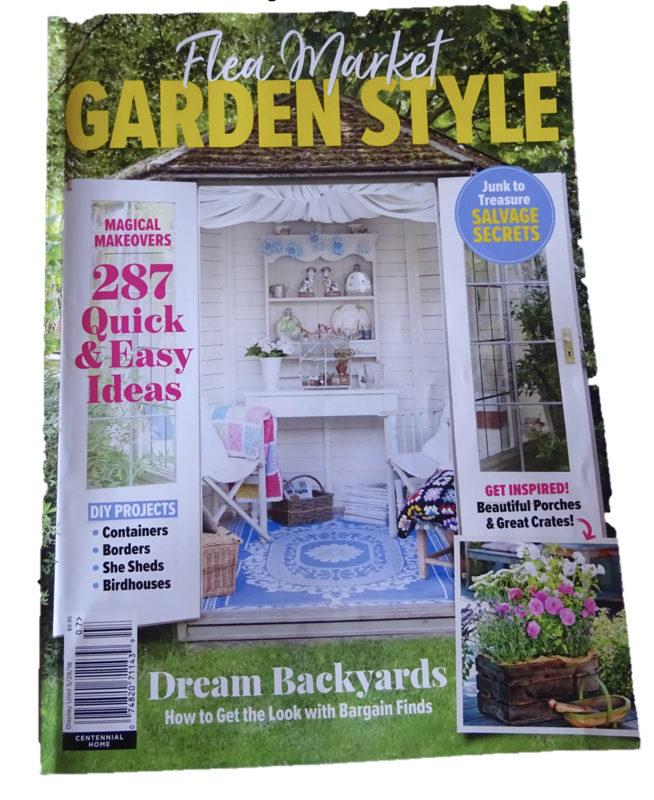 Chosen as the 1st garden to launch 360� Panorama imagery of exquisite gardens for Weekend Magazine on line as part of Mail Plus! 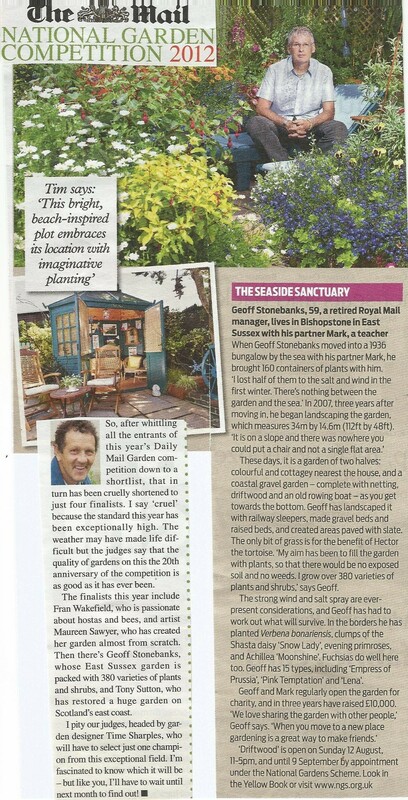 Martyn Cox, gardening journalist for the Mail On Sunday visited on Friday 7th June with photographer for a photo shoot and interview, see the published article by clicking the logo! 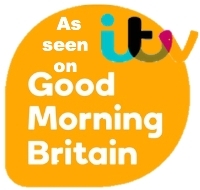 March/April 2013: Approached by both ITV & BBC for possible filming. 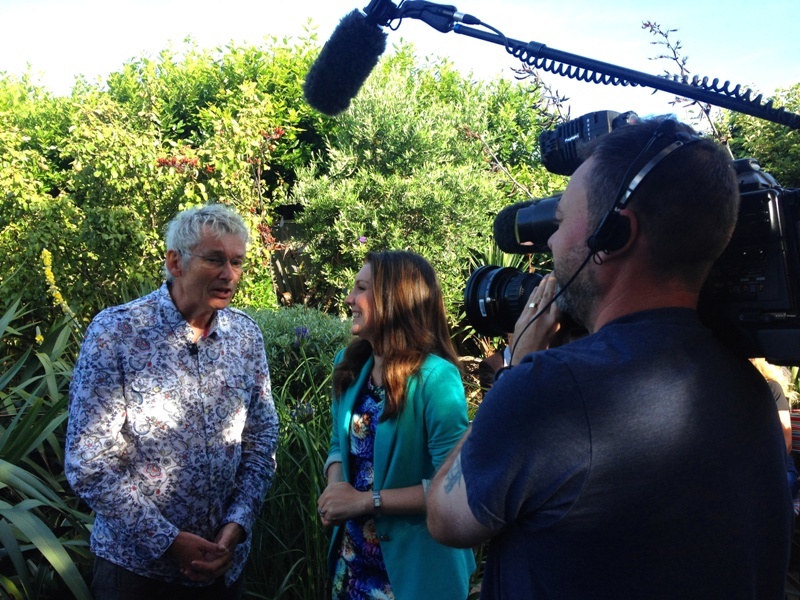 The producer of "Love Your Garden" with Alan Titchmarsh came to see the garden hoping to use it in a programme this summer. 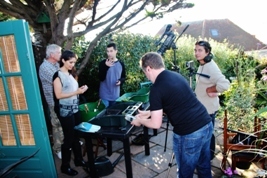 Outline TV productions visited and were considering using it for a wildlife programme for BBC 1 this summer as well! 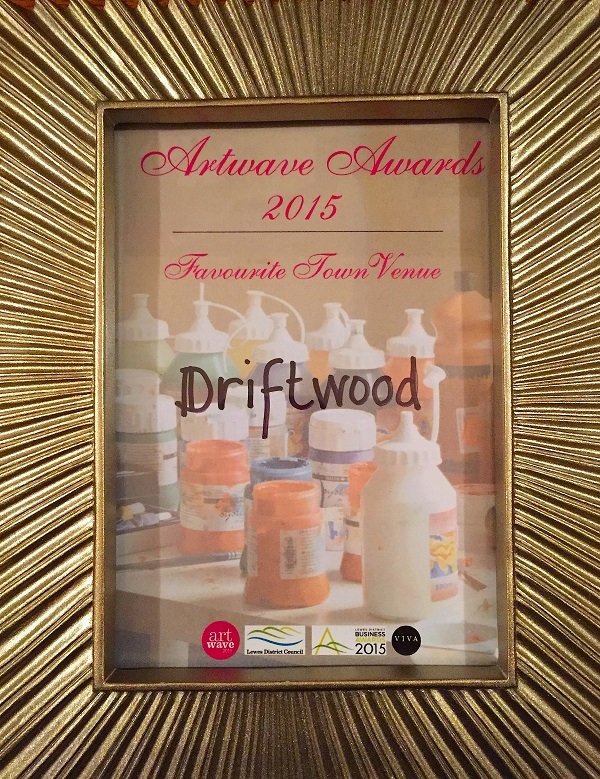 Alongside the group entry in the Sussex County Booklet 2013, Driftwood is acknowledged for having won the 2 national awards in 2012. Click cover to see the detail. Invited by Thompson & Morgan to join their, invitation only, customer trials programme. This involved receiving new and exclusive varieties of plants not yet seen by the public to grow to the best of my ability in the garden/containers. I have provided written feedback and pictures which will be used on their website and catalogues and other sales literature. Their Product Development Manager, Michael Perry, visited to see the garden for himself! 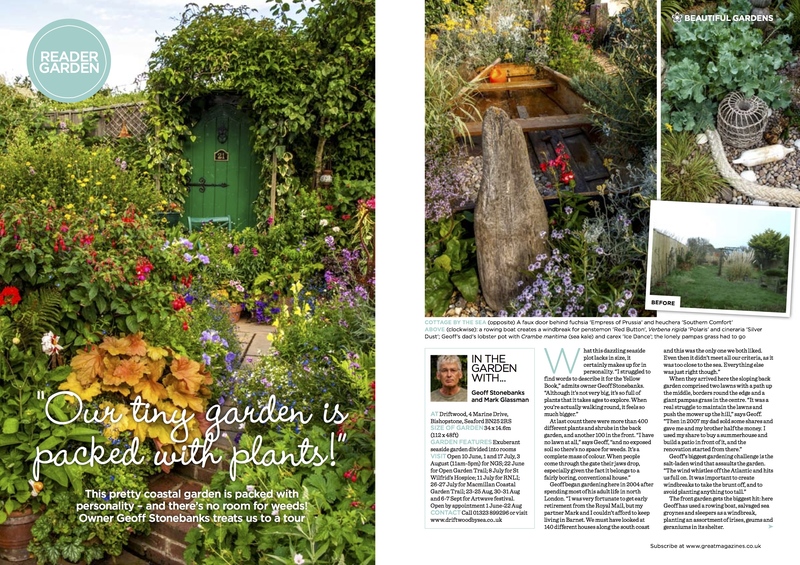 Invited by the Editor of Garden News to submit a monthly piece of 400 words and pictures to the national gardening magazine about Driftwood garden. Click here to read them all. 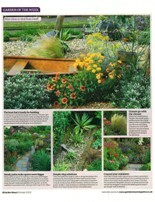 Winner Best Small Garden in this papers national awards for 2012. 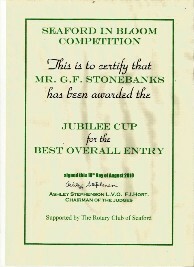 Hundreds of entries, shortlisted to final 15 then judged the winner! Click here to learn more about the competition. Featured in paper 9th October 2012. 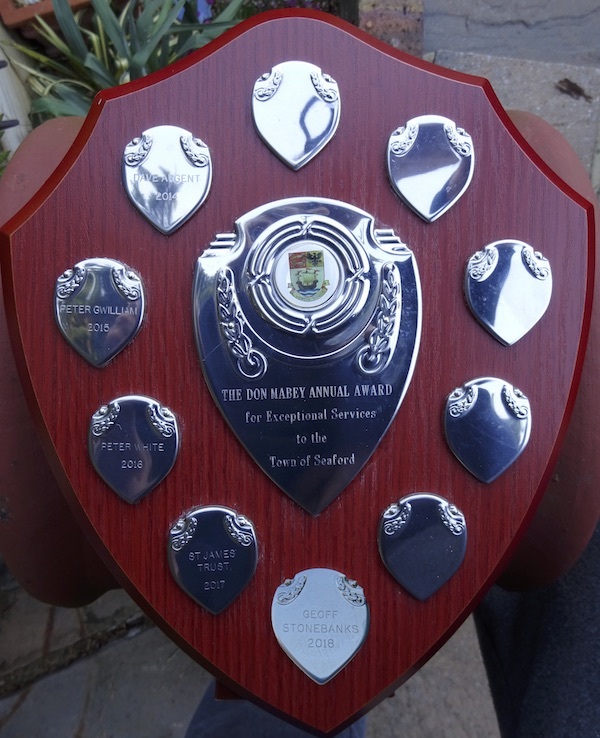 One of 4 finalists across the UK, in this prestigious national competition, selected from over 1200 entries and honoured with a cast iron blue plaque. 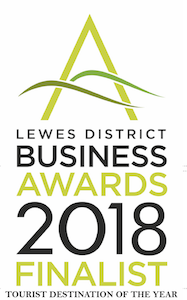 Click here to learn more about the competition and click cover below to see the feature in Daily Mail Weekend Magazine published on August 4th. 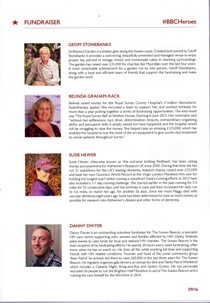 See the great 2 page feature article in this issue! 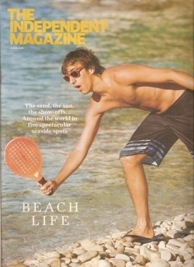 Click on the left magazine cover to see page 1 and right magazine cover for page 2. 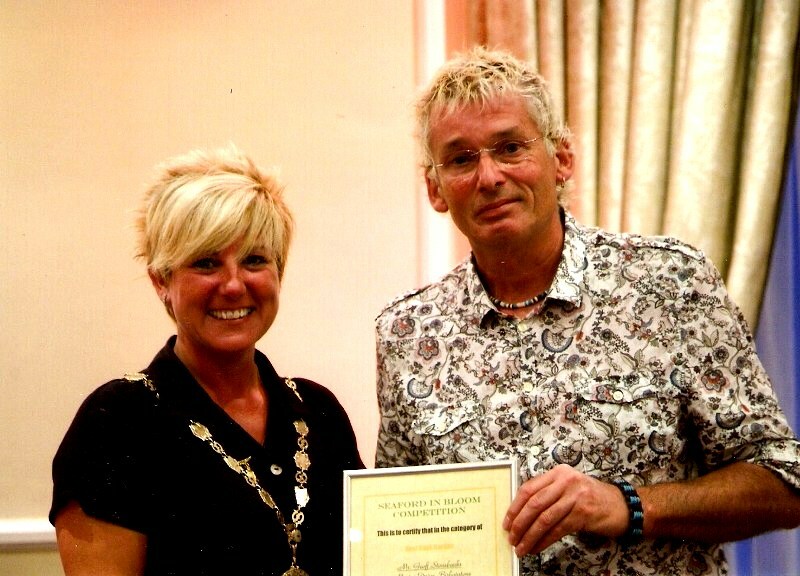 Seen here receiving a community service award from Linda Wallraven, Mayor of Seaford, for raising over �7000 for local and national charities from opening the garden. 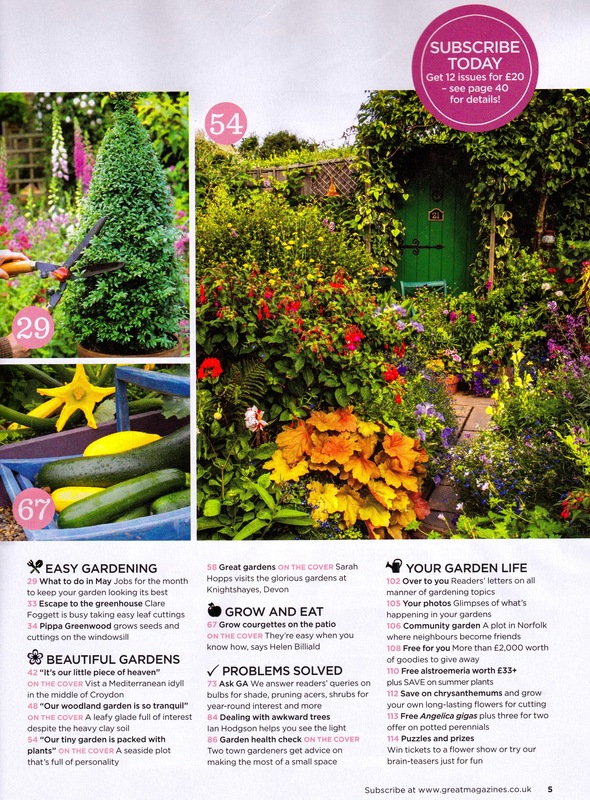 Photo of Driftwood garden in National Gardens Scheme Yellow Book on page 562, along with the 2 entries on pages 552 & 565. Click magazine cover to see article or view on media page in larger print. 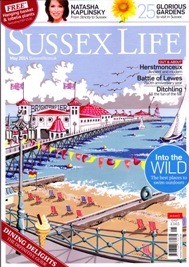 Listed as a seaside garden to see in both the Independent Magazine and the I on Saturday. 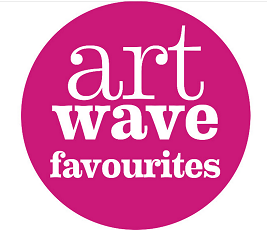 As part of the Lewes District Artwave Festival, in August and September, visitors post in their votes for their favourite Open House. Our venue was based on 7 artists and sculptors displaying their work with the garden as it's backdrop and we were voted the Best Open House by our visitors, for the second year running out of over 90 venues, having had over 600 visitors. 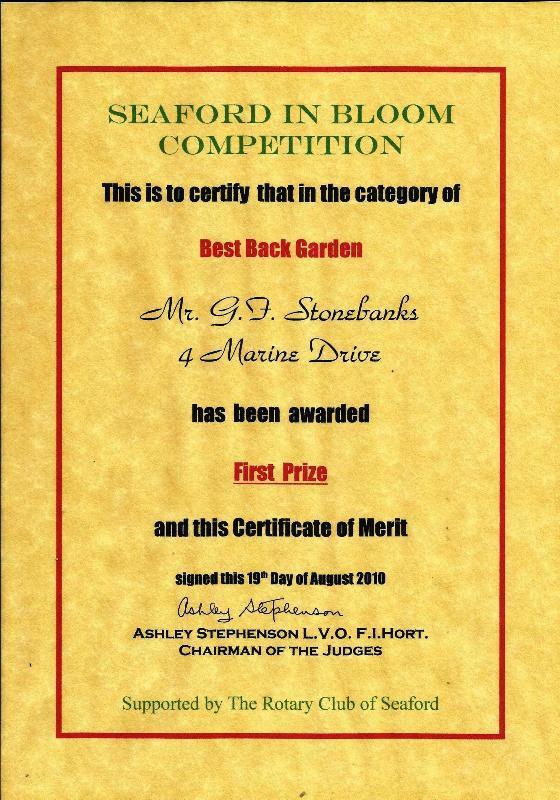 The garden was entered in the Competition in 2010 and was judged to be the best back garden by the 3 judges and awarded the Stephen Newberry cup. 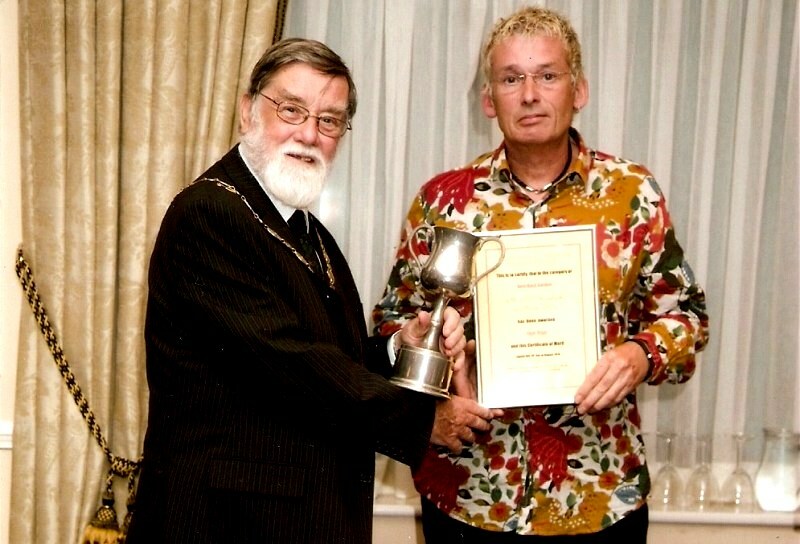 Left, presented with cup and certificate by Mayor of Seaford at the awards ceremony. 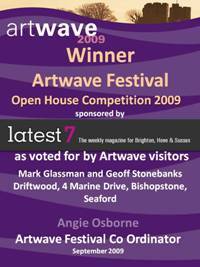 BEST OVERALL ENTRY IN SEAFORD 2010. 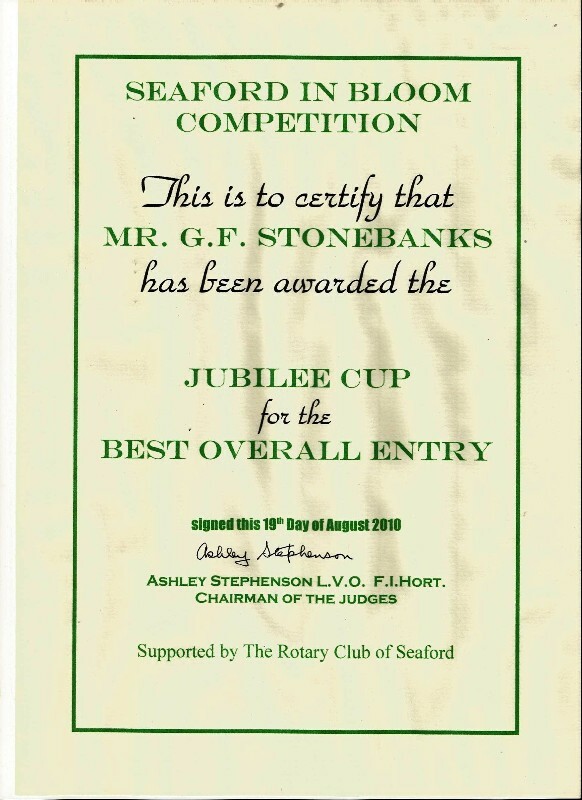 The judges also decided that the garden was the best overall entry in the competition for 2010 and awarded it the Jubilee Cup. Once again picture being presented with the cup and certificate by the Mayor of Seaford at the awards ceremony. 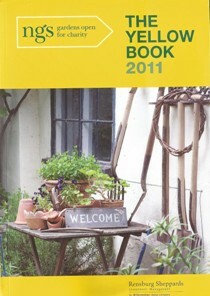 JULY 2010: INCLUSION IN 2011 YELLOW BOOK. 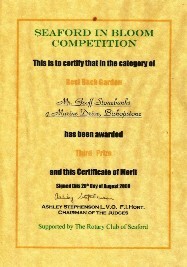 Approved by the County Organiser for inclusion in the 2011 Yellow Book for the National Gardens Scheme. See us on page 539. 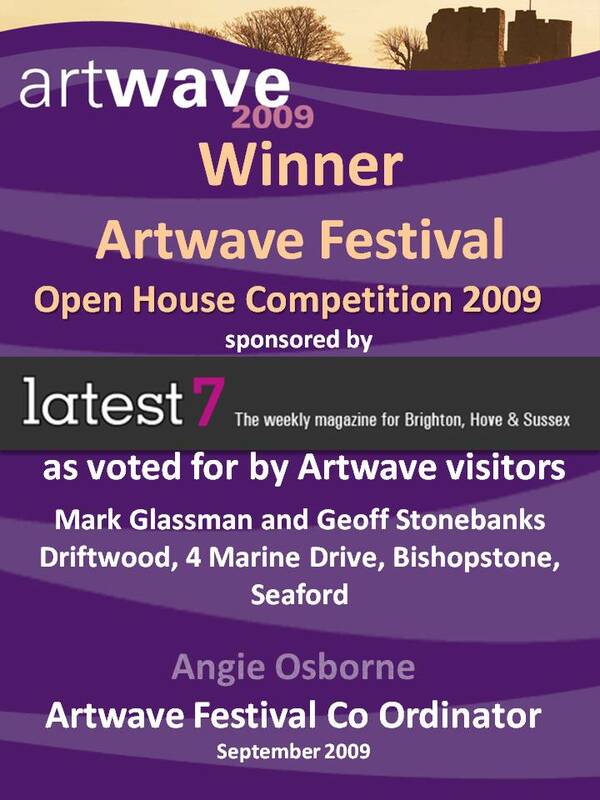 As part of the Lewes District Artwave Festival, in August and September, visitors post in their votes for their favourite Open House. 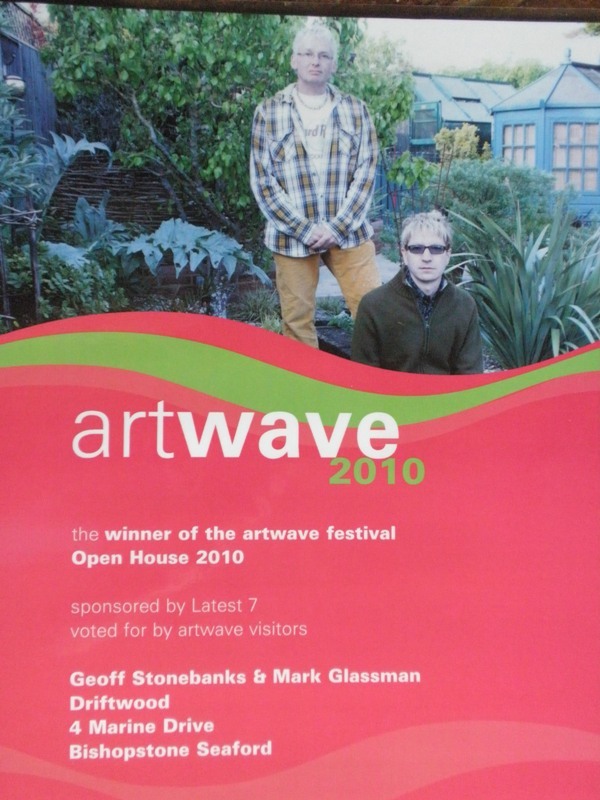 Our venue was based on 4 artists and sculptors displaying their work in the garden and we were voted the best Open House out of over 70 venues, having had over 200 visitors. 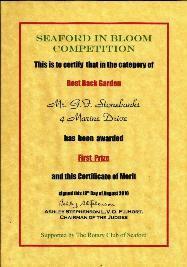 The garden was entered in the competition for the first time in 2009 and was judged to have won 3rd prize in the best back garden section by the 3 judges. 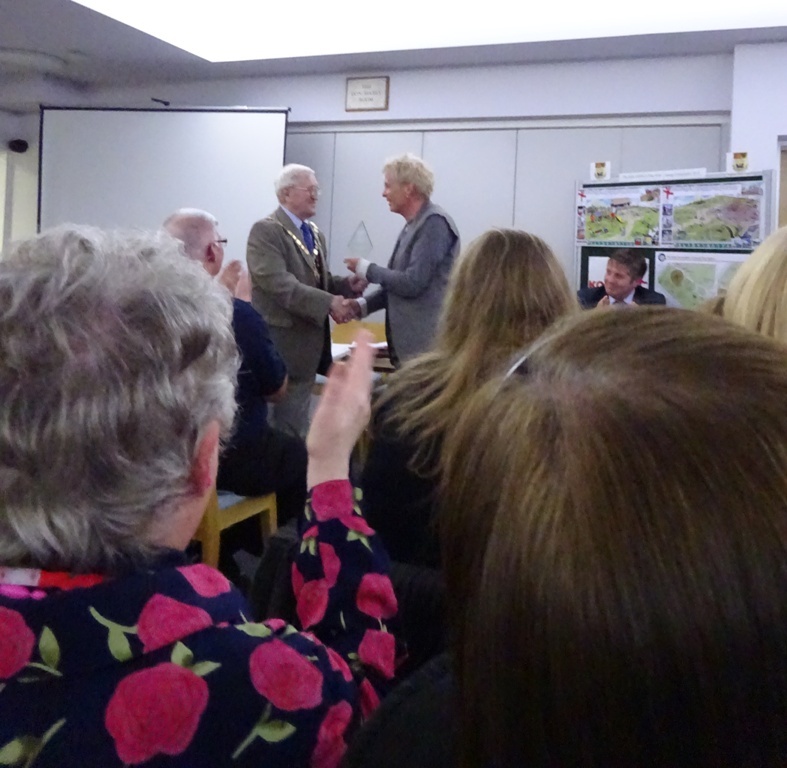 Shown here receiving the certificate from the Mayor of Seaford at the awards ceremony.